Just how much freight do 3PLs or brokers move for tens of thousands of shippers every day? Here’s an interesting fact: The $166 billion third-party logistics industry is 1.5 times the size of the beer market and four times larger than the market for candy. In fact, one of every three of the largest shippers in North America uses one or more 3PLs to meet their freight carrying capacity needs. That activity accounts for a large and growing portion of the over 10.5 billion tons of freight-- more than 75% of all cargo-- that trucks haul every year. As more companies scale back or even eliminate their in-house transportation operations and outsource their freight hauling management needs to third-party experts, it is brokers and 3PLs who are increasingly called upon to facilitate the efficient and economical movement of goods and materials. While that raises the growth potential for non-asset-based transportation services providers, in this highly competitive market they are also facing a number of significant challenges. Currently, with economic growth, freight carrying capacity is lagging behind demand for trucking services. While that can lead shippers to turn to brokers and 3PLs who can act as a single point of contact with qualified freight haulers, it also requires a high level of accurate and effective lane and carrier selection expertise. Simultaneously, carriers are looking to brokers and 3PLs that can provide freight from shippers of all sizes and in all geographic areas in order to maximize productivity and reduce costly empty mileage. Shippers today are also increasingly demanding more accurate and timely freight location and status information from their brokers and 3PLs. 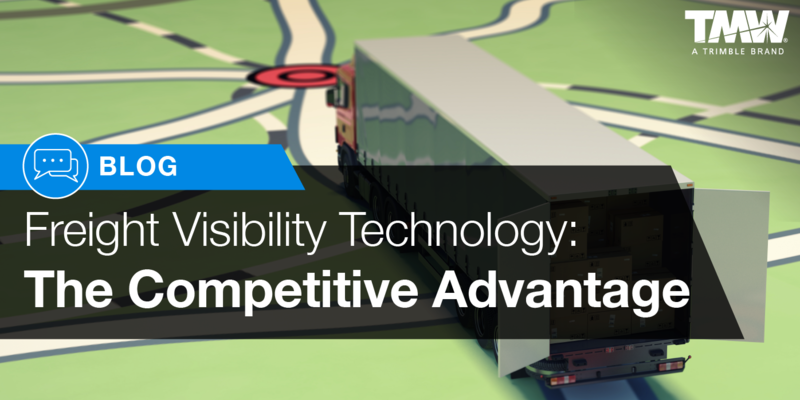 Because their businesses depend on the productive, constant and time-sensitive movement of goods and raw materials, they are requiring a higher level of visibility throughout the freight transportation process. They see those capabilities as essential for limiting costly supply chain disruptions, such as late loads that cause production line slowdowns, or lead to a lack of products in distribution warehouses and on retailer shelves. Brokers and 3PLs can rise to that challenge and provide a higher level of freight visibility by investing in software and technology. With a tracking solution that is integrated with their Transportation Management System (TMS), they can facilitate the visibility and transparency their customers increasingly require. With freight visibility capabilities, brokers and 3PLs can use automated GPS-based positioning to easily provide shippers with information about current load status, including arrivals and departures at pick-up and destination locations, pick-up and delivery time estimates, and in-transit updates. Turning a TMS into a visibility solution powerhouse can result in other benefits for brokers and 3PLs as well. Using readily available, highly advanced tools and technologies designed to provide shipment status updates, they can streamline their internal operations with the ability to send tracking information directly and automatically to shippers. And that is only one way that the integration of a visibility solution with an enterprise and transportation management system provides added value for brokers and 3PLs, and their customers. Systems and customized integrations that send shipment information from sales and order entry systems, and location information from on-board systems directly into a single database, improve real-time visibility across all carriers and facilities. That, in turn, enables more proactive customer service. For example, an integrated TMS and visibility solution can help manage exceptions by highlighting shipments that are running late. Brokers and 3PLs can even set up alerts for loads and view activity by region, equipment type, or any of dozens of other parameters. By improving shipment visibility as well, brokers and 3PLs can use integrated information from multiple load boards to quickly and easily secure spot loads that fill in gaps in their transportation networks. The result is additional revenue-generating freight for brokers, 3PLs and carriers, and lower costs for shippers who don’t have to cover the expense of additional empty miles. Incorporating better visibility into freight location with management, operations and planning tools also leads to streamlined internal business processes for brokers and third-party logistics providers. With these technologies, load status information is pushed proactively based on user-defined parameters. Without having to rely on phone calls to gain greater shipment visibility and transparency, brokers and 3PLs can improve staff productivity and employee experience and satisfaction. Leveraging vast amounts of data from integrated transportation management systems and visibility solutions drives advanced analytics capabilities. That benefits brokers and 3PLs by enabling proactive load planning that helps reduce costs and keep customer service levels high. 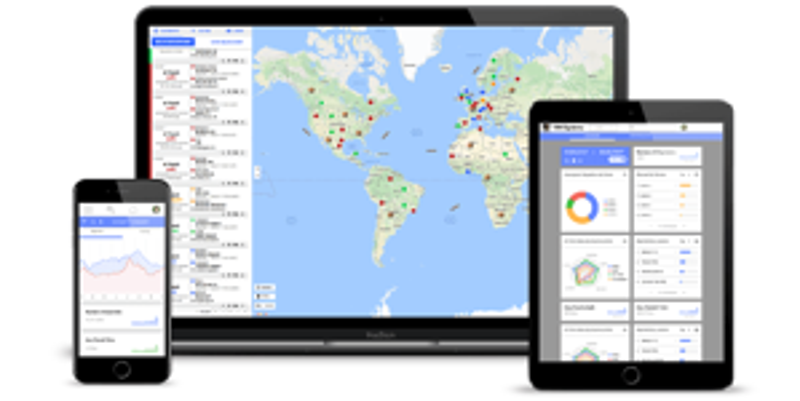 Transparency into real-time performance by shippers and carriers enables customizable data mining and trend analysis capabilities, as well as advanced reporting on a variety of performance metrics. By managing freight and modeling transportation scenarios based on improved visibility, non-asset-based transportation service providers can win new business among shippers looking for partners that are innovative and efficient. Increasingly, shippers of all types, including manufacturers, wholesalers and retailers, are requiring visibility into freight location and load status, and many now view those capabilities as a core service offering and a key factor when choosing brokers and 3PLs to manage their loads. Only a few years ago, however, the tools and technologies to meet freight visibility requirements were not readily available. Today, though, brokers and 3PLs can utilize several types of tracking technology, from simple solutions that follow the location of a phone or electronic device to systems that are fully integrated with on-board communications technology. Providing that visibility into freight is the key to earning their business. For 3PLs and brokers, a proactive approach to freight visibility used in conjunction with a TMS designed for their business needs is more than a means of differentiating themselves from their competitors. It is also an opportunity to streamline the efficiency and productivity of their internal operations and improve their profitability. Is your company ready to take the steps needed for competitive advantage? Explore your options with TMW.